Matt Ryan Is The First Football Player To Make $30 Million In A Year – Who Was The First Athlete To Do So? 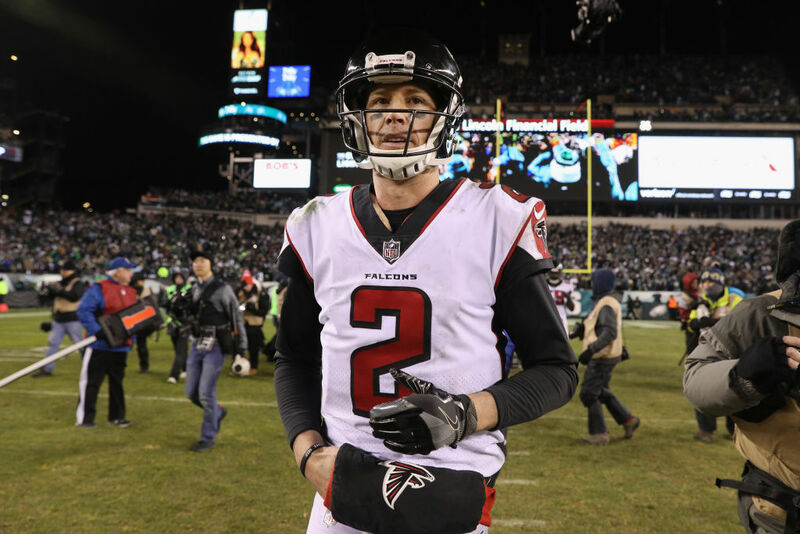 Matt Ryan led the Atlanta Falcons to the brink of the Super Bowl in 2017, helping the team get off to a 28-3 start that eventually ended in a 34-28 heartbreak at the hands of the New England Patriots. Though the Falcons only made it to the divisional round this year, Ryan's play remained steady, and the team rewarded him with the largest salary in NFL history. Ryan signed a five-year, $150 million contract to stay with the Falcons, with $100 million guaranteed. That means Ryan will make $30 million this upcoming season, more than any NFL player before him. But Ryan is hardly the first player to make $30 million in a season. Before the 1996-97 season tipped off, Michael Jordan signed a contract with the Chicago Bulls that paid him $30,140,000 million. The most impressive part of Jordan's contract? He had made just under $28 million combined during his first 11 years in the league. He more than doubled his career earnings in one season! Jordan's contract the following year, his last with the Bulls, was worth $33,140,000. It still stands as the highest one-year deal in NBA history. Today, Jordan's $30,140,000 million contract would be worth about $48 million. Since Jordan, only four other NBA players have made $30 million in one year – though a handful of players will make that much in upcoming seasons. But as of the 2017-18 season, only Jordan, Kobe Bryant, LeBron James, Steph Curry, and Paul Millsap have had salaries of more than $30 million. Major League Baseball has seen several players make $30 million in a year, as well. Alex Rodriguez's famous 10-year, $252 million deal led to multiple such seasons, while Dodgers ace Clayton Kershaw has taken home more than $30 million each of the past three years, and will do the same for the next three, including this one. David Price and Mike Trout have also made $30 million or more in a season. But at $35,571,429, Kershaw will make the most in the majors this year. With the way the NHL is structured, no player can earn $30 million in a season. Ryan makes the NFL the last league of the major North American sports to join the $30 million club. And what a sweet club it is.